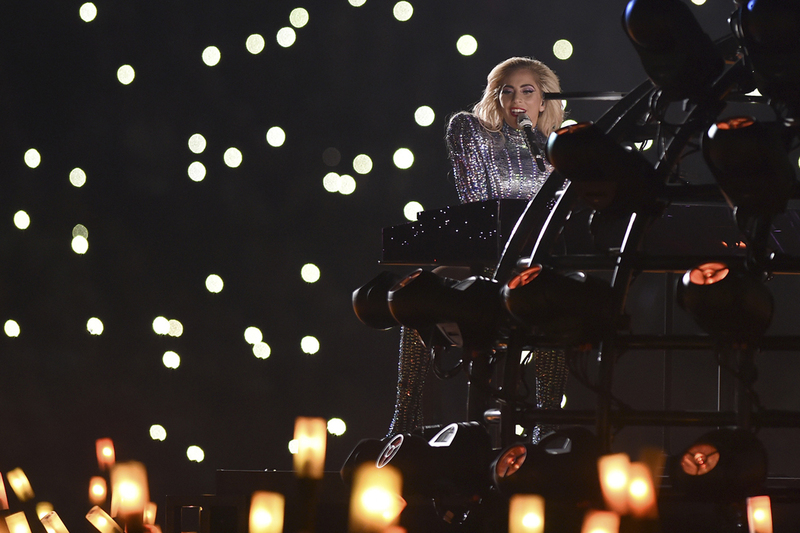 When Lady Gaga took the stage for the Super Bowl LI’s halftime show, viewers worldwide stared at their TV screens waiting for an overt political statement about President Donald Trump. Instead, Gaga put on a 13-minute pop performance, complete with a sequined leotard, a mid-set costume change, five of Gaga’s top hits and an acrobatic feat. Pulling political meaning out of the show, some noted Gaga’s performance of “Born This Way,” a song heralded for LGBTQ+ pride. Gaga’s inclusion of the song in her set prompted Teen Vogue to call the halftime show “absolutely political,” because why else would Gaga perform that particular song in this political climate? Well, because that song is famous. Like the rest of the songs that Gaga performed Sunday, “Born This Way” is a hit and a crowd-pleaser. The thought of Vice President Mike Pence getting a good view from his box seats was just a bonus for some. First and foremost, Gaga is a pop star. She took the stage at Super Bowl LI to boost her record sales — and it worked. The day after the Super Bowl, Gaga had five tracks in the iTunes top songs list, including oldies “Just Dance” and “Poker Face,” which were both released in 2008. And, you guessed it, “Born This Way” made its way up top, too, with a number four spot. In recent protests against Trump’s immigration policy, protesters have taken up Guthrie’s song en masse, leading Vanity Fair to conclude that Gaga’s quick reference to the song was a “dog whistle to the protesters.” This song, unlike the others she performed, can’t be written off as a purely entertaining. Although Gaga likely felt pressure to focus on the performance more than the politics — Quenzel also said the NFL tells each artist that the show is meant to reflect the “unifying” nature of the Super Bowl — she was also clearly under no gag order. Two days later, Gaga also tweeted a photo of herself holding a “love trumps hate” sign outside of Trump Tower in New York City. But, don’t hold Sunday’s political silence against the pop icon. Like every other musical artist, she has the right to choose whether or not she makes her performances into political statements. Gaga is known for her smash hits, her jaw-dropping on-stage presence and her shocking fashion choices — remember 2010’s meat dress? The pop music industry focuses on pumping out radio-ready rhythms and sing-along songs. Political statements promote an artist’s name or reflect the artist’s personal beliefs, but politics don’t build pop superstars — top-selling albums and widespread relatability do. You wouldn’t expect to find icons of social change in Selena Gomez or Ed Sheeran, so why would you expect it from Lady Gaga? She’s not Susan B. Anthony, Gloria Steinem or even Bob Dylan. Gaga spends her time writing music, not legislation or protest chants, and expecting anything more from most pop artists is giving mainstream music far too much credit.